In other words, M4V is the FairPlay DRM Copyright protected Apple video that requires purchase from iTunes. The M4V file format is based on the MPEG-4 AVC video compression, which is a global media standard with the aim to provide optimized video podcasts for the iPod. With the DRM protection, you can only play iTunes videos in Apple Ecosystem. To eliminate this restriction, you need to convert iTunes M4V to plain video formats like WMV. Then how to do it? What tool do you need? What is the difference between M4V and WMV? WMV is short for Windows Media Video. It is a video compression format for several proprietary codecs developed by Microsoft. While M4V file format is generally used by iPhone, iPod, PlayStation Portable, etc. With the booming of Apple's products, M4V files are becoming more and more commonly used. The main different between M4V and WMV is that M4V videos are DRM protected. It can only read properly on Apple devices, iTunes and Quick Time Players due to the DRM protection. Why do we convert M4V to WMV? As mentioned above, WMV videos can play on most of phones, tablets and media players. In more direct words, WMV videos enjoy a wider platform than M4V video. For people who hold different devices, for example Android phones or tablets, they cannot enjoy their rented or purchased M4V videos on their portable devices. In this occasion, they may have to take shelter in M4V Converter that can remove DRM protection. How to Convert M4V to WMV on Mac? With the help of M4V Converter, Mac users can convert protected M4V video to conventional WMV video. 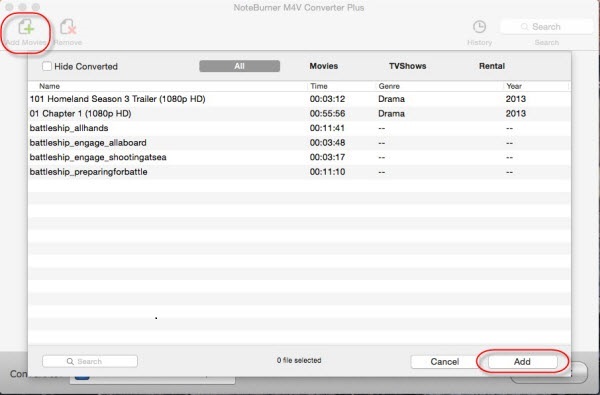 The best M4V Converter in market is NoteBurner M4V Converter Plus for Mac. This M4V Converter combines advanced DRM removal and excellent video conversion technology to one comprehensive M4V Converter. Please Note: If you are running Windows OS, you can downlod NoteBurner M4V to WMV Converter for Windows here, which works as well as the Mac version. Run the M4V to WMV Converter and import M4V videos you have downloaded from iTunes Store. Click "Add Movies" button on the top left of the interface and select the M4V movies or TV shows you would like to convert in the pop-up dialogue box. 2. Choose Output Format as "Customized WMV Video"
To convert M4V to WMV, either click the format logo in the end of each added video or navigate to where it says "Convert to " and choose "Customized WMV Video" in the output profile. The M4V to WMV Converter is a multi-format video converter. You can choose your portable devices in the list directly or choose a file format and customize the video & audio codec, video length, video size and other parameters. The M4V Converter even allows you create a new format that is not available in the program. 3. Click "Convert" Button to Convert M4V to WMV Video. This is the last step for the conversion. After you click the "Convert" button, a dialogue box showing the conversion progress will pop up. When it finishes, open the output folder then you can enjoy the converted WMV video on your portable players. Many people would consider that converting the M4V Video will result in a loss of quality though. In fact, the developers have already taken it into consideration. The program provides option like "Same as source" which will best preserve the image quality in the output profile. 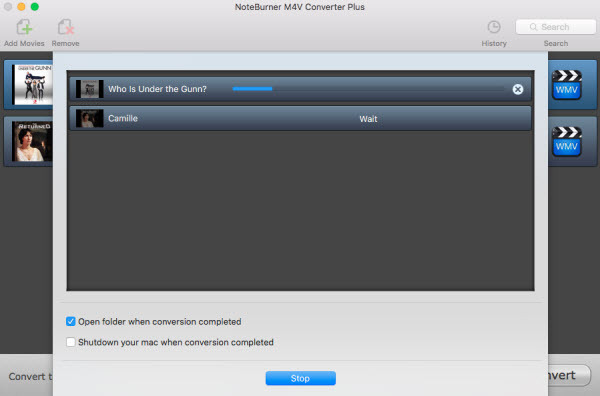 It is such an easy job for NoteBurner M4V Converter Plus to convert M4V to WMV on Mac. For Mac users who have android devices, it is a dynamite choice. What's next? 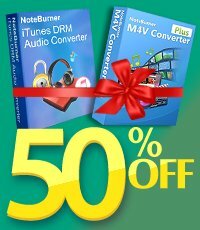 Download NoteBurner iTunes DRM M4V to WMV Converter now!